With the Delaware Goose-a-palooza 2016 coming up this weekend, we’ve put together a short summary of the Northeast’s common and unusual goose species and also a few helpful links for participants. Remember that if you haven’t signed up for the event, please email Alan Kneidel and he can register you for a team and goose-searching territory. The objective for each team during the Goose-a-palooza is this: Locate goose flocks in your territory, and spend some quality time searching through them. In addition to keeping a rough tally of the number of individual geese (preferably using the eBird mobile app for iPhones or Android or writing notes that can be entered into eBird later), the overarching theme is to keep an eye out for rare goose species and other oddities. As a community of birders, we are hoping to get a really awesome snapshot of the goose abundance, distribution, and species composition during the peak of spring goose migration in Delaware during the Goose-a-palooza. Most importantly this event is for enjoying the goose migration spectacle that occurs in Delaware and across the Northeast, and for having one day out of the year to study and learn more about goose identification and distribution across our natural and agricultural habitats. 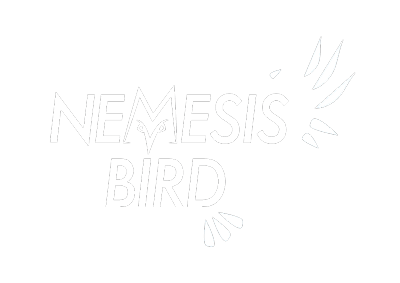 There is an endless amount of information and discussion that could be shared, but this article serves more as an introduction to the geese in the region and we hope you enjoy it! In general the three types of goose flock scenarios you might encounter are foraging geese, resting geese, and flying geese. As geese migrate up the coast, many spend a few days in a particular area of ideal habitat to rest and refuel, utilizing the expansive natural and agricultural habitats that the Northeast has to offer. During this time, geese have certain roosting and resting locations that they spend the night at, but then depart to their chosen foraging habitat during the day. Roost locations can be in large fields, on ponds and lakes, and along the coast. Foraging locations are in large, open fields and wet meadows. Geese may also be seen flying high overhead in active migration, or they could just be flying between foraging and roosting locations. Note the direction geese are flying in, and use those observations to predict where geese may be heading to land and be more easily viewed. Staking out a roost location at sunrise, and again at sunset would be ideal for scanning through very large flocks as birds join up or leave in small groups. During the middle of the day, driving around and finding foraging locations would be most beneficial. 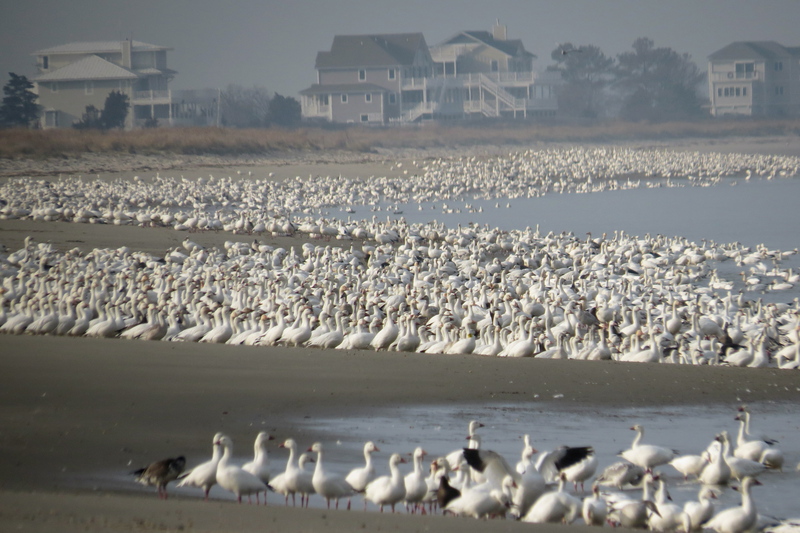 Sometimes counting or estimating flocks larger than 100 birds is difficult, but eBird has two articles concerning tips for counting at this link. An estimate or a fairly exact count is always better than just reporting ‘X’ geese, since that could stand for 1 or a million! But don’t worry, once you get the hang of counting by 10s or 100s across a flock, you can estimate flock sizes quickly and correctly. These two species are abundant throughout the Northeast, particularly across in coastal areas. These are large geese that most birders are quite familiar with, and there is quite a bit of size variation between males and females – males are slightly larger on average, and have larger bills. The ultimate starting point when searching for rare or unusual geese is to first find large flocks of Canada or Snow Geese and determine how many there are, and then scan carefully through the flock to see what other species are among them. 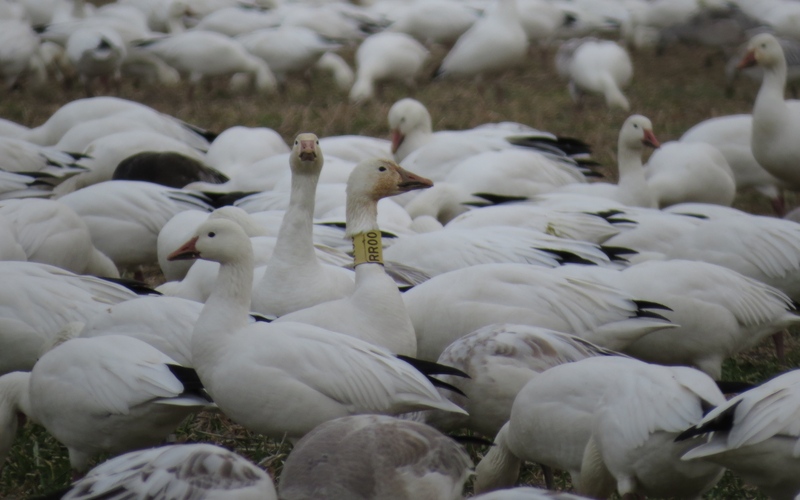 Both of these species may be found with plastic yellow neck-bands, labeled with a 4-digit code written in black that were affixed to them during the breeding season – if you encounter any neck-banded geese please record the code! Follow ‘more info here’ links below to Cornell’s All About Birds site for each species, which is full of useful facts and includes a link to the each species’ eBird range map. Canada Goose – The classic brown goose. These large geese gather in medium to large flocks. There are two distinct subspecies which are common in the state – the larger, local subspecies which spends the entire year in the Northeast, and the slightly smaller migrant subspecies. Both types mix together, and it is often hard to tell them apart unless there is an extreme example for direct comparison. More info here. Snow Goose – A medium to large white-and-black goose with pink bill. 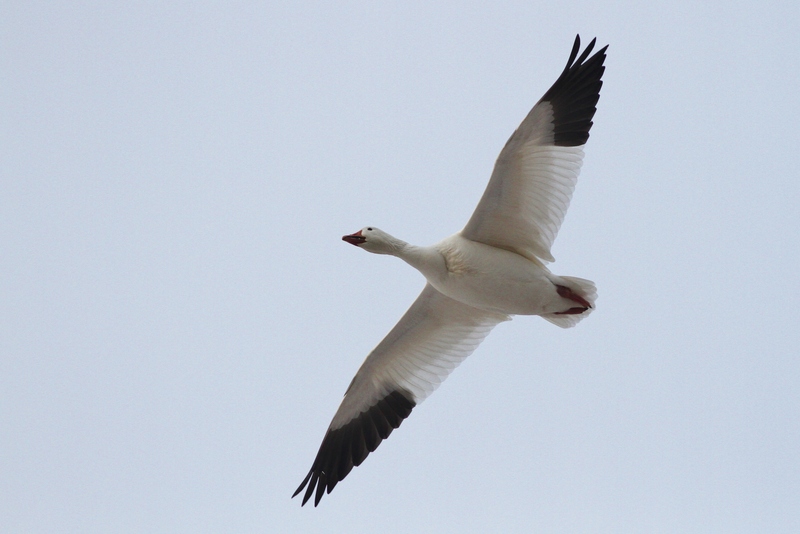 This species, in particular the “Greater” Snow Goose subspecies, is incredibly common in most of the Northeast during spring migration, when there can be hundreds of thousands spread out across the coastal plains. 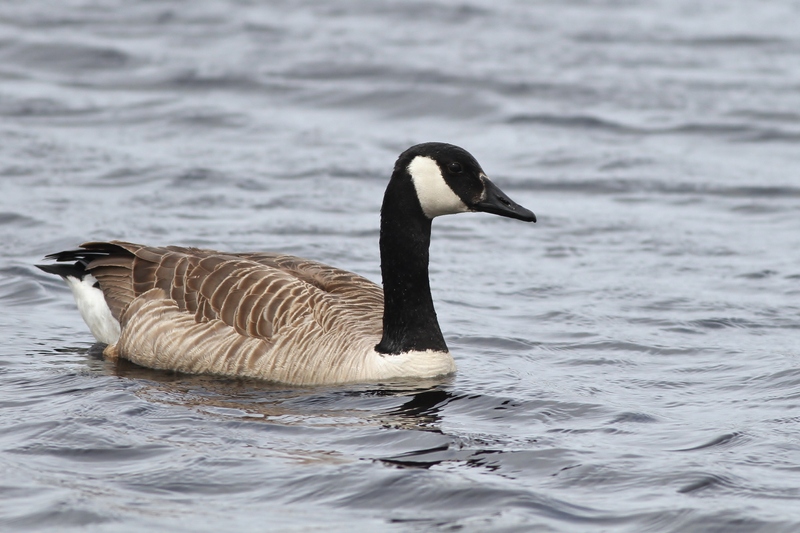 As with Canada Geese, there is size variation between males and females. In addition to the classic white color type there are also darker birds known as ‘Blue Geese’. More info here.